Welcome to Volleyball WorldWide, your global source of information about the sport of volleyball. This service is provided thru the work of Tom Jack and other volunteers, and Market Dot Net providing the storage and Internet facilities to make this service possible. 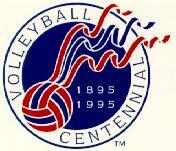 Copyright © 1994, 1995, 1996 Volleyball WorldWide The information you receive on-line from Volleyball WorldWide is protected by the copyright laws of the United States. The copyright laws prohibit any copying, redistributing, retransmitting, or repurposing of any copyright-protected material.